When I go home to Wisconsin, I cook. A. Lot. On the eve of my uncles 80th birthday, I wanted to make something special, this is what I came up with. Before you start to sauté anything, have all of your chopping, mincing, slicing done and ready to go. 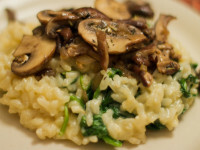 Once you have started the risotto there is no stopping. 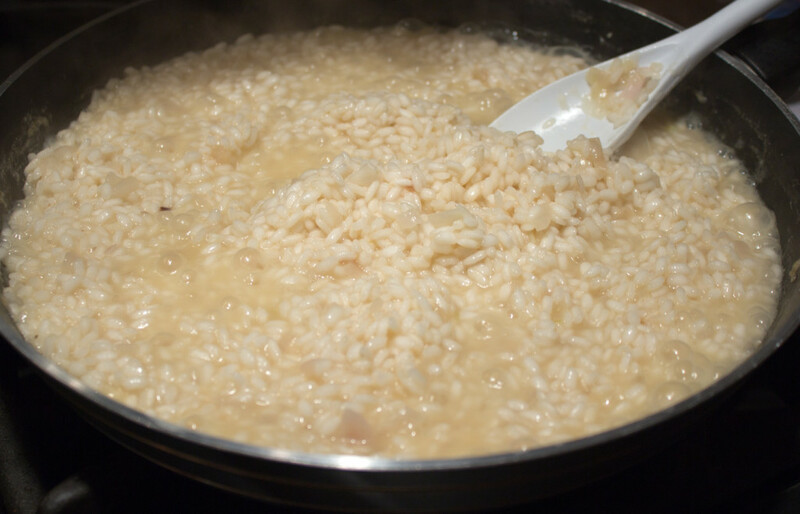 For the risotto, combine the water and chicken stock; set aside. Melt the butter in a large nonstick sauté pan over medium heat. Add 1/3 cup shallots and garlic, sauté until fragrant, about 2 minutes. Add rice; cook 2 minutes, stirring constantly. Stir in 1/2 cup of wine and cook until liquid is almost absorbed, stirring constantly. Add 1/2 teaspoon salt and 1/2 cup of broth mixture. Stir constantly until liquid is absorbed. Continue adding the broth mixture 1/2 cup at a time while stirring until absorbed. This should take roughly 20 minutes. 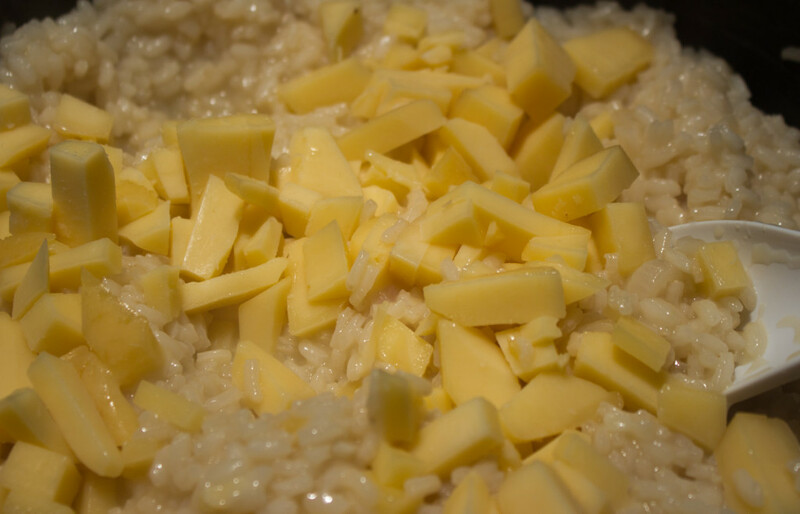 Stir in Gouda; cook until melted. Stir in chopped spinach and cook until wilted. 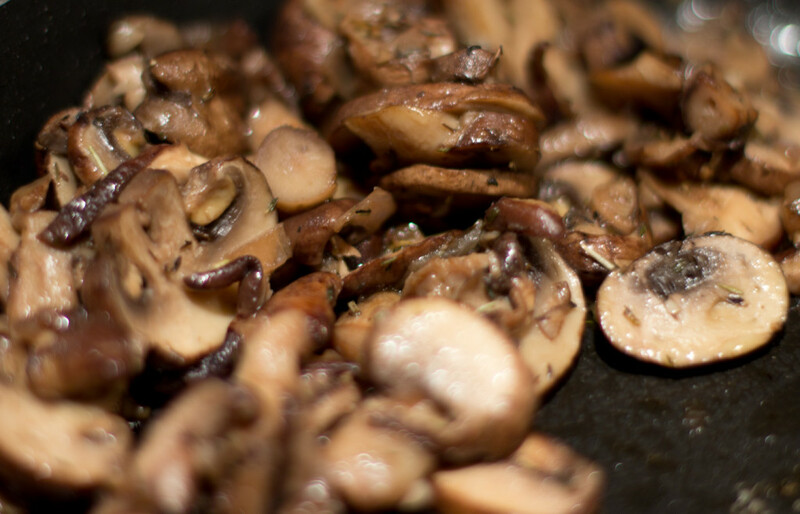 For the mushrooms, heat olive oil in a large nonstick sauté pan over medium high heat. Add mushrooms and sauté until browned, about 5 minutes. Add the shallots, garlic, wine, thyme, and rosemary, continue sautéing until the wine is absorbed. Sprinkle with salt and pepper. 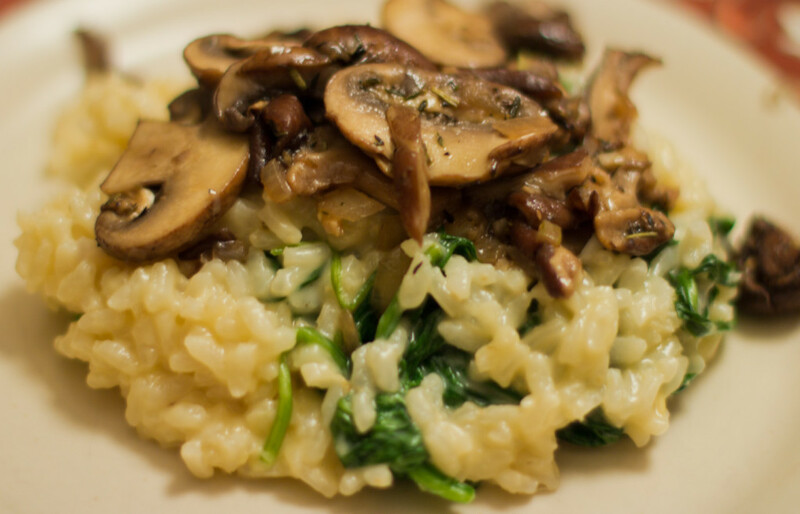 Plate the risotto onto 4-6 serving dishes, top each serving with the mushroom mixture and sprinkle with the parmesan cheese. 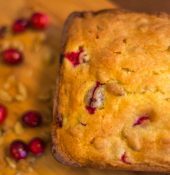 Serve with a nice crusty bread and you have a meal that will not be forgotten.